AT&T says it’s launching 5G in small areas of a handful of cities. But in order to get it, customers will need to carry around a hefty puck! It’s so big, it’s been compared to the size of a plate, and one reporter called it a “chunky monkey”! On top of that, AT&T’s 5G only works in a few tiny coverage bubbles of a few cities. How can you call it “mobile” 5G when you’ll lose your 5G signal the moment you take a few steps or something gets between you and the antenna?!? 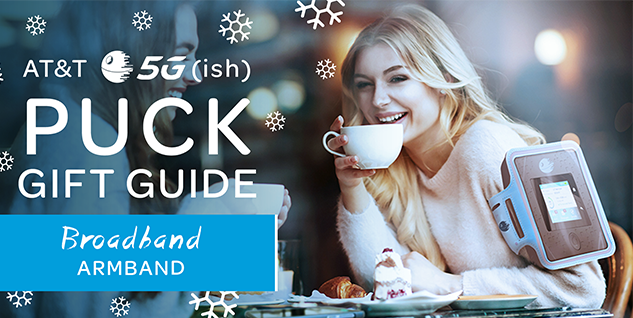 Clearly people will need help lugging this thing around, so here’s a handy 5G-ish puck gift guide. 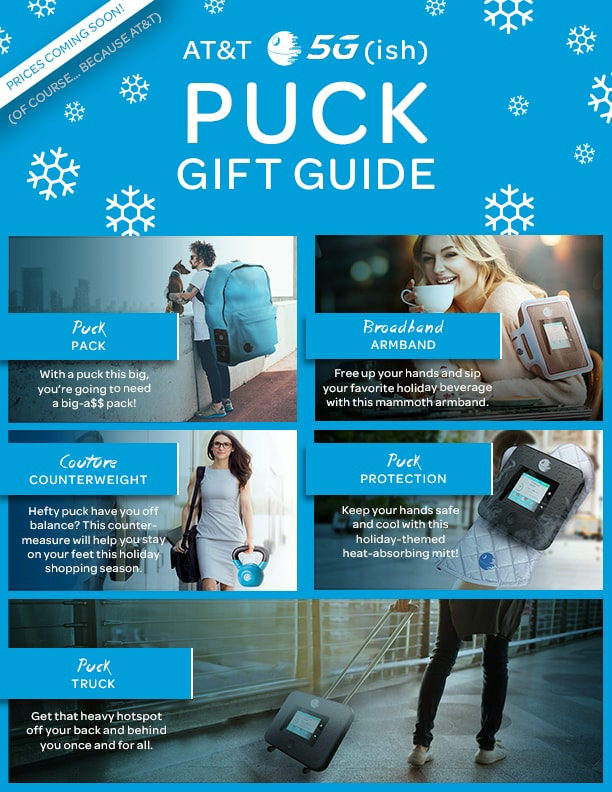 Nothing says happy holidays like a big-a$$ puck pack!